Recent industry reports project rapid growth in mCommerce sales but also show rising fraud. Risk management firm Chargebacks911 urges merchants to be aware of the risks and implement effective fraud prevention solutions to minimize losses. Monica Eaton Cardone, chief operating officer at Chargebacks911, advises merchants to be weary of fraud when it comes to mCommerce. Many merchants are shifting their attention to the mobile channel in an effort to claim a share of the mCommerce pie. Between 2016 and 2020, U.S. mobile commerce (mCommerce) sales are projected to grow nearly 260%, from $79 billion to $284 billion. (1, 2) Data also reveals rising fraud in the mobile channel: from 2015 to 2016, LexisNexis’ mobile Fraud Multiplier climbed 12%, from $2.08 to $2.33 for every dollar of fraud. Meanwhile, the average percentage of successful fraud transactions in the mobile channel jumped from 26% to 35%. (3) Chargebacks911, a leading dispute mitigation and risk management firm, advises merchants hoping to cash in on the mCommerce boom to be proactive in addressing fraud with dynamic, multi-layered solutions. Not only do large mCommerce merchants experience more successful fraud attempts than other retailers, but the LexisNexis Risk Solutions study also found that they decline more legitimate transactions due to false positives. While the average false positive rate for all merchants was 1 in 5, that figure rises to 1 in 3 for large mCommerce merchants. (3) Eaton-Cardone says these findings demonstrate an urgent need for effective fraud prevention solutions within the mobile channel. Eaton-Cardone also points out that the mobile channel is uniquely positioned to take advantage of biometrics and other advanced fraud prevention tools, since most mobile devices are equipped with cameras, microphones and geolocation technology, and newer devices often have integrated fingerprint scanners. “By adopting comprehensive fraud prevention solutions that utilize additional transactional intelligence to help validate consumer authenticity, merchants can help not only reduce the impact of fraud, but dramatically reduce the onset of friendly fraud – especially for mobile transactions,” she added. Chargebacks911 is committed to educating merchants on fraud risks and fraud prevention strategies. As part of these efforts, Chargebacks911 representatives will be presenting at the Retail Risk conference in New York, the IATA World Financial Symposium in Singapore and other forthcoming industry events. 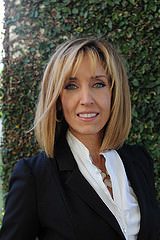 Monica Eaton-Cardone is also available for interviews and future speaking engagements. For more information on Chargebacks911 and its comprehensive risk management solutions, visit http://chargebacks911.com. Chargebacks911 is a division of Global Risk Technologies, which is internationally recognized as a leading provider of comprehensive risk management solutions to the payment processing industry. With offices in Europe and the United States, Global Risk Technologies manages over 200 million transactions worldwide each month. Chargebacks911 is headquartered in Tampa Bay, Florida, and specializes in chargeback mitigation and dynamic loss prevention. Founded by merchants in direct response to rising chargebacks and friendly fraud, Chargebacks911 combines insider expertise with proprietary technology and deep analytics to isolate threats, resolve disputes and maximize revenue. From small merchants to the nation’s largest retailers, today, thousands of businesses rely on Chargebacks911’s scalable, customizable and fully turnkey solutions to achieve sustainable growth and guaranteed ROI. For more information, visit http://www.chargebacks911.com.